Retiree Association of Flight Attendants-CWA - Sara is a real leader and she is ours! Sara Nelson is a REAL leader – and she’s ours! 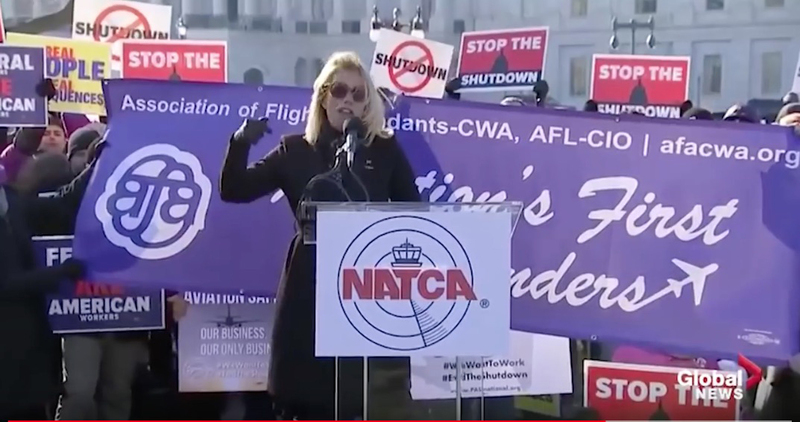 The recognition that Sara Nelson got during the 2019 government shutdown, as the leader of AFA-CWA, should be a wake-up call to all of us who believe that labor can be on the rise in our country once again. Please read the Salon article below. RAFA-CWA was formed in part to support the currently active flight attendants – with the understanding that what affects them will ultimately affect all retirees in our industry. If you are not familiar with RAFA’s organization, please check out our website– and consider joining your fellow retirees in working toward a more equitable economy in our country.